(2) Turn the ignition switch on (IG). (3) Read the DTC by following the prompts on the Techstream screen. (3) Clear the DTC by following the directions on the Techstream screen. The Techstream has a SNAPSHOT function which records the monitored data. (a) Switch to self-diagnostic mode. (1) Insert the key into the ignition key cylinder and remove it. Turning the ignition switch to ON after the procedure above has been completed will end the self-diagnostic mode. If the system fails to enter self-diagnostic mode, the system will return to normal mode. 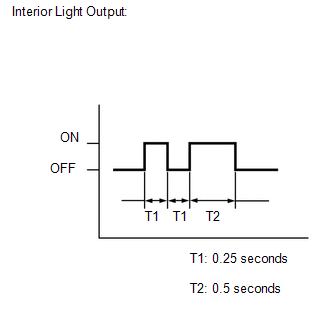 (b) Check that the system has switched to self-diagnostic mode by checking the interior light output pattern. 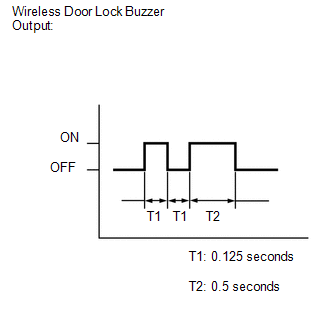 (d) Check the diagnostic outputs when the door control transmitter switch is held down. 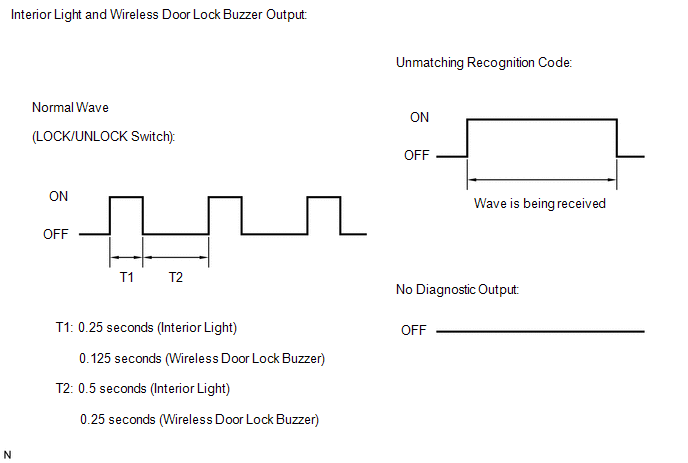 The diagnostic outputs can be checked by the interior light and wireless door lock buzzer patterns. (2) Turn the ignition switch to ON and turn the Techstream main switch on.